Fig. 10. 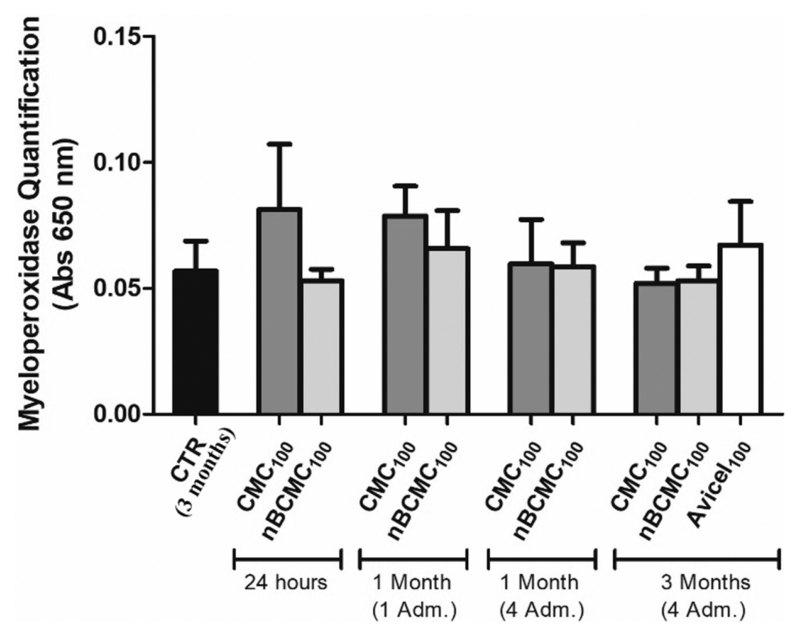 Pulmonary inflammation of C57BL/6 mice intratracheally instilled with CMC100, nBCMC100 and Avicel100 over time (up to 3 months) evaluated by the myeloperoxidase (MPO) quantification in BAL fluid. Means ± SD (n = 3 or 5 mice per group). No statistically significant differences were detected.